Carman Padilla is the owner of Home for Little Angels, a Navy Family Child Care Home. She knows, first-hand, the challenges mothers face continuing to breastfeed while in the Navy. As a result, Carman wants to provide support for breastfeeding mothers through her child care. 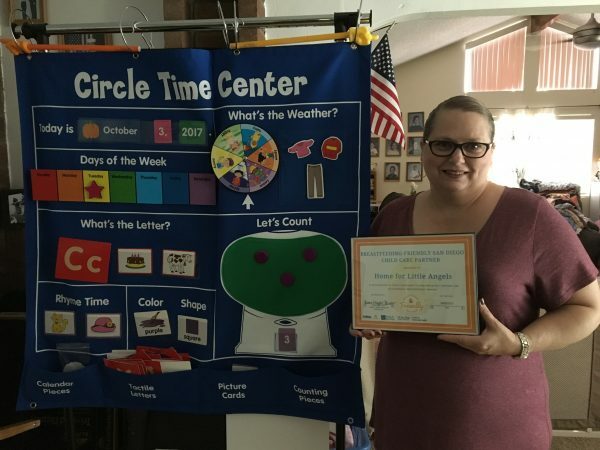 Participating in Breastfeeding-Friendly San Diego (BFSD) has provided her with breastfeeding resources to share with with her families and ways to encourage and support mothers in meeting their breastfeeding goals. Carman really appreciated the programs flexibility to allow providers to move at their own pace. She will be caring for a breastfed infant starting in December and was happy that she could move quickly through the program. She looks forward to further supporting both mom and baby!